This kit contains a d:screet SC4061 Miniature Microphone, Lo-Sens with our reinforced cable relief and a XLR adapter DAD6001-BC and a selection of our unique mounting accessories. The kit is designed to use as a close-miking solution for a wide variety of musical instruments. The d:screet 4061 Omnidirectional Microphone, Lo-Sens offers a very clean, detailed and natural sound quality. This leaves it up to the user to decide on the correct placement to achieve the desired timbre. The mic can handle 144 dB peak before clipping, allowing the microphone to be used even for snare drums, guitar/bass speaker cabinets or other high SPL sound sources. The kit is perfect for studio use or amplification for live use. There are many accessories included in the kit. 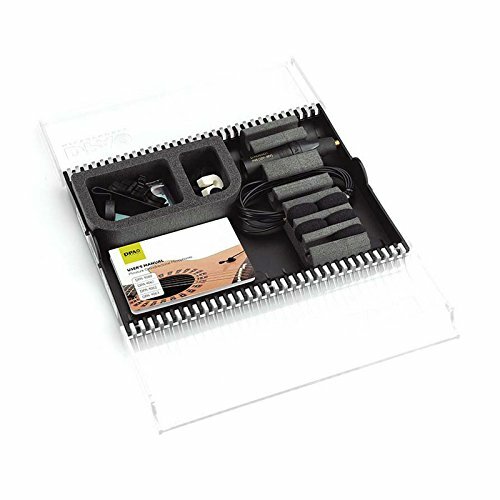 It contains holders for strings, universal surface mounts with double sided tape, a magnet mount and foam windscreens. If you have any questions about this product by DPA, contact us by completing and submitting the form below. If you are looking for a specif part number, please include it with your message.